Adobe brings out exciting Technology Previews now an then. These are experimental beta-features which go through the filter of the photography community before turning into defaults. 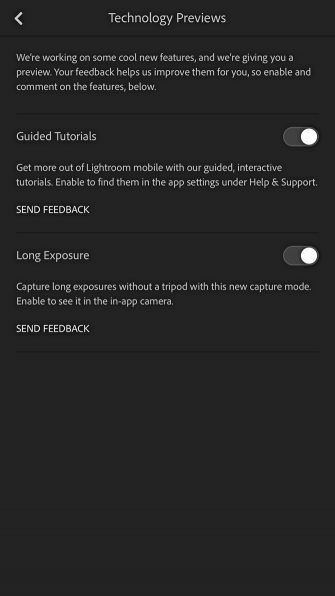 Adobe Lightroom CC for Mobile promises its own set of Technology Previews you can enable with just a toggle button. Adobe Lightroom CC for Mobile is available for free on iPad, iPhone, and Android. 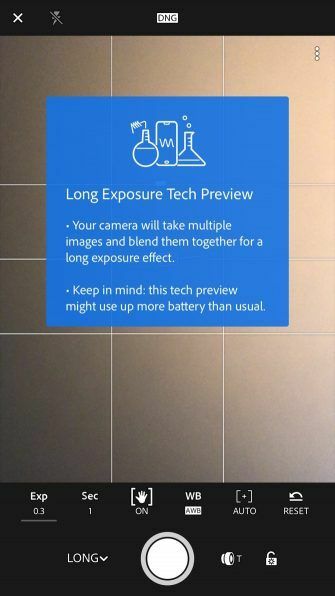 You can enable Technology Previews from the Lightroom Settings on Android. Here’s a walkthrough on how to do it on iOS. 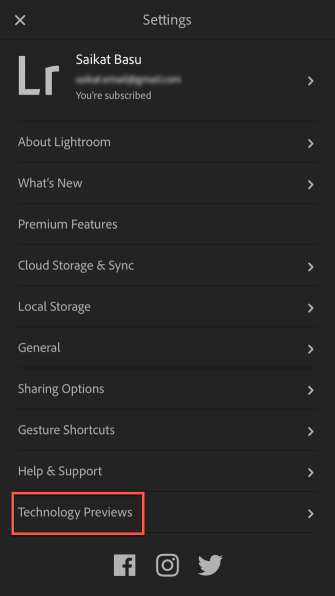 Launch Adobe Lightroom CC for Mobile. Tap the Lr icon on the top-left of the app screen. Scroll down the list and tap on Technology Previews to open the options it offers. Toggle the beta-features on the list. 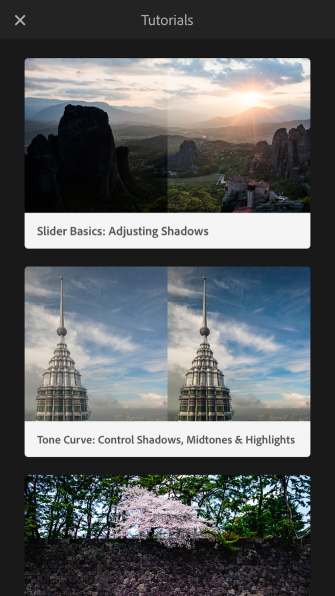 For instance, right now Guided Tutorials and Long Exposure have been introduced. The features also depend on the version of the phone you have. Guided Tutorials: Enable it and go to Help & Support under the Lr icon. There are four short and precise tutorials available right now which give you a demo of one specific task you can do on Lightroom. It is helpful if you are new to the app and want to use it to its potential. Long Exposure: The Long Exposure tech preview is available on iPhone 7, 7+, 8, 8+, and X. Once switched on, you will find this option along with Auto, Pro, and HDR on your camera app. It is not a DSLR-like long exposure achieved with a slow shutter speed. Lightroom achieves it by taking multiple shots with different exposures and then blends them into one. Want to learn to use the new Lightroom CC? Here’s a quick overview of all the features you need, as well as some help navigating the new interface. and want to learn more about it, the experiments also give you a chance to play and have fun with this powerful app in your pocket. Explore more about: Adobe Lightroom, Smartphone Photography.